Brittany specialist Martine Renouard is your "French property friend"
Home > Essential Info > French Property Sales > Brittany specialist Martine Renouard is your "French property friend"
Martine Renouard Immobilier - helping you find your dream house and a wonderful life too! Martine Renouard established her estate agency, Martine Renouard Immobilier, in central Brittany in 2005. A long association with British clients has given her a good knowledge of what they want from an estate agent. And, as she explains, it's not just help to find that perfect home! According to Martine, we Brits want a personalised, friendly service that's professional but which treats us as individuals. So, that's what Martine provides. Martine's area has a wealth of character properties at surprisingly reasonable prices: stone longères, farm houses, manor houses, mills, gite complexes, plus renovation projects and ruins from as little as 20,000 Euros. 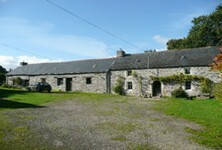 But she also deals with Breton villas for those preferring a more contemporary property. Martine points out that when it comes to property, one size does not fit all. She knows that one person's idea of a perfect home might be another's idea of hell. So she really listens to her clients when they call up enquiring about property. With Martine, you can be sure that you won't waste your precious viewing trips seeing a series of unsuitable properties. If she doesn't have what you want on her books, she'll go out and try to find it. It's a tailor made service, and clients love it. By the way, you won't have any language difficulties with Martine either. She's French, but speaks perfect English. Although Martine has clients from many different countries (including France) she has always found that a lot of her business comes from Britain. And, she says, the British appreciate the friendly approach that a small agency can offer. Mainly working alone, Martine can build up good relationships with all her clients. And in many cases, they form a friendship that lasts long after the purchase is completed and new lives in Brittany are underway! Martine understands what it's like to live abroad. She spent some years living in Canada, and she knows that it can be a struggle to get used to the way things work in a strange country in those crucial early days. So she offers a complete after sales service, helping clients to sort out legal paperwork, open bank accounts, establish utility changeovers and so much more. If you're moving to Brittany with children, she'll even help you get them settled into a local school. It's the little, caring touches like this that lead to Martine's clients recommending her to their friends, time and time again. Martine's own experiences go deeper than just having lived abroad. She also has personal experience of renovating properties. So, if you're buying a ruin to do up, or a property with a barn that you plan to make into a gite, Martine is just the person to ask for advice. 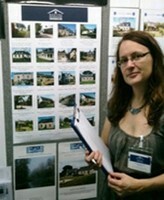 She can help you find good local craftsmen, and advise on local planning laws and materials. Countryside, coast and a warm welcome - why Brits love Brittany! Côtes-d'Armor (22): Rostrenen area, Glomel, Paule. This is the time for buyers to have their say. Property prices in France have dropped in recent years, and the market has slowed, in common with the UK and most of Europe. So, it's a brilliant time to invest in a property in Brittany, especially for cash buyers. There are some real bargains around just now. The market will rise again, so Martine advises buyers to make the most of this current opportunity. Martine chose to advertise with French Property Links (FPL) as she liked their friendly and efficient approach, which fitted well with her own ethos. She was pleased to find that she receives enquiries from French, Belgian and Dutch clients as well as many British clients. So, she's very happy to advertise with FPL, confident that her properties will come to the attention of lots of potential buyers in Britain and beyond.